Free registration, dead-line is July 10, 2019. Maximum number of pairs is 20. Can enter in the competition only the persons that have week full pass or week party pass. 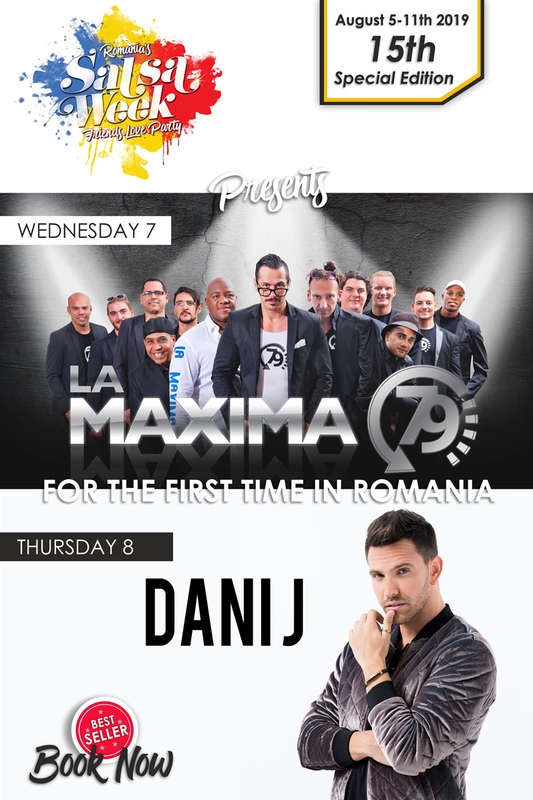 This year we have a special prize from the organizers, along full pass guaranteed to Romania Salsa Week 2020! YOU ARE COMIMITED TO SIGN THE ORIGINAL DOCUMENT AS SOON AS YOU GET TO THE EVENT. The organizer undertakes to comply with the provisions of Law no. 677/2001 on the protection of personal data stored during the contest. As such, the organizer is committed to safeguarding the privacy of the participants / winners of this contest and use them according to the Official Rules and legislation. Participants in the contest, as the persons concerned have, according to Law 677/2001, the following rights: the right to information (Article 12), right of access to information (Article 13), the right to modify the data (Article 14) and the right to oppose (Article 15). Simply by competing or sending their personal data to the organiser, the participants agree their data to be saved, processedand used in the future by organiser solely to inform participants about the new competitions and other information concerning efforts to promote the dance phenomenon and the festival. At the request in writing to the participants, the organiser will not use their personal data.